Students of Universitas Muhammadiyah Yogyakarta (UMY) associated Generasi Bakti Negeri (GBN) successfully conducted Saudara Sebatik Festival (SSF 4) on Sunday (2/4) in Lapangan Liang Bunyu. Under the theme of ‘Semarak Kebhinekaan Indonesia di Teras Utara Negeri”, the fourth SSF was attended by District Head of Sebatik Barat, officials of Muspik Sebatik Barat, and Headmen in Sebatik Barat, and people of Liang Banyu. Chief of the committee of Saudara Sebatik Festival 4 Faizal Akmal Hauzan stated that the festival aimed to promote programs of GBN during their community service in Bambangan and Liang Bunyu. “This is the fourth festival that the third SSF was organized in Sebatik Tengah,” informed Faizal. Additionally, the festival was commenced by a cultural parade joined by more than 500 students and people in Sebatik Barat. 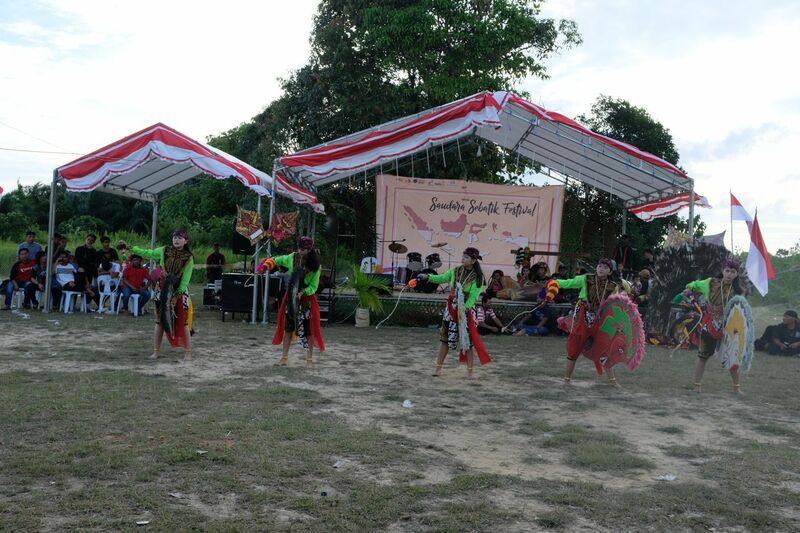 Afterwards, there were cultural performance by communities in Sebatik such as Reog Sebatik Community and Kampung Loudres Community and exhibition in Lapangan Liang Bunyu. The SSF 4 was a closing program of community service performed by the GBN team before returning to Yogyakarta on Sunday (9/9).